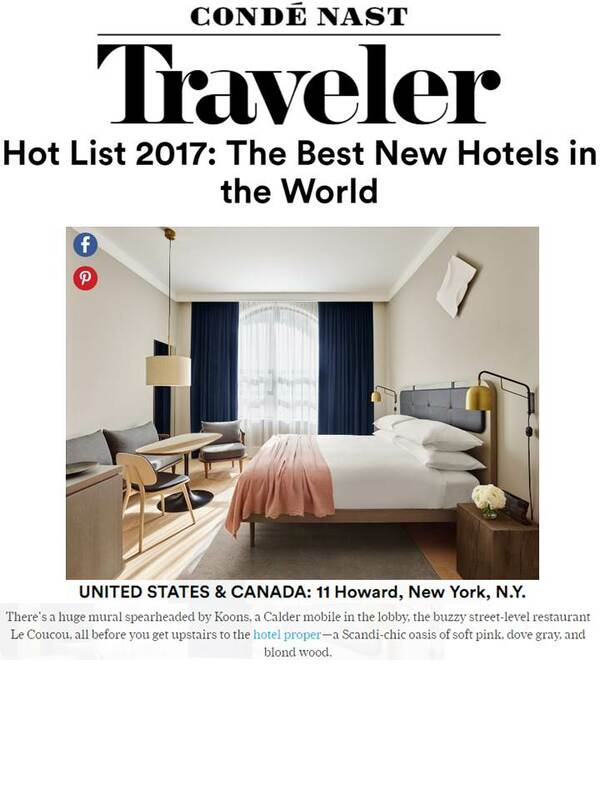 The Travel Team at LER PR is pleased to see luxury minimalist hotel 11 Howard featured on Conde Nast Traveler‘s “Hot List 2017” in the number 1 slot as the best hotel in the world. Based in the heart of Soho, New York City, 11 Howard boasts a luxurious yet modern design, unparalleled facilities, and a restaurant recently voted one of the best in the country. What more could you ask for?